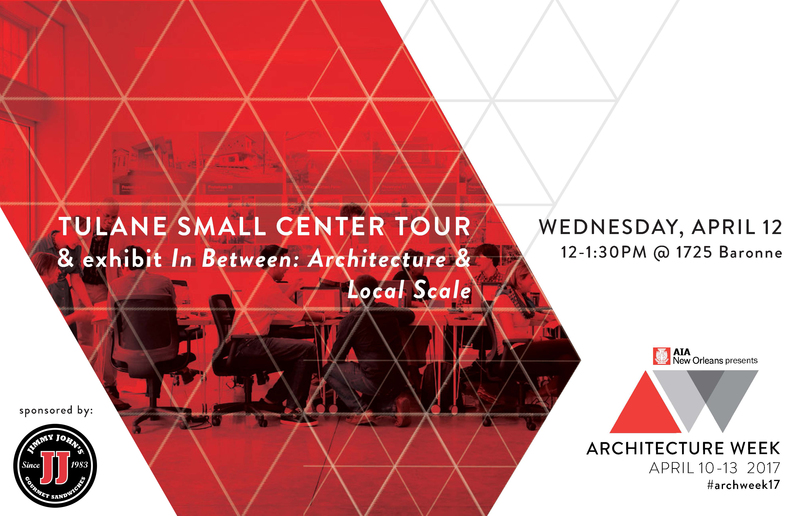 Hosted by the Albert and Tina Small Center for Collaborative Design (formerly the Tulane City Center), Tulane American Institute of Architecture Students (AIAS), Tulane Women in Architecture (TWIA), and National Organization of Minority Architects (NOMA) invite you to a lunchtime showcase and tour. Join Chris Daemmrich, Tulane AIAS President, along with Keri Edwards, TWIA President / Founder, and Bryan Bradshaw, NOMAS President / Founder, as they present current work they are leading at these dynamic organizations. The Small Center is currently displaying Tulane School of Architecture faculty member Cordula Roser Gray’s exhibit, In-Between: Architecture at the Local Scale, where four emerging architectural practices paired with students and Youth Empowerment Project’s Design Works to re envision the Brown’s Dairy site as an asset to the Central City community. Following this presentation will be a tour of the Small Center and the story of its adaptive reuse. Food trucks will be stationed outside the event for attendees to purchase lunch. This event is part of a larger series of program for Architecture Week New Orleans, April 10 – 14, 2017. It is free and open to the public. Lunch to be provided by Jimmy John’s.